Before 1807, when the British slave trade was still legal, Kingston was an important port of slave disembarkation in the West Indies. However, since the beginning of the suppression campaign, the port served as a seat for one of the international courts responsible for adjudicating ships accused of transporting slaves illegally. 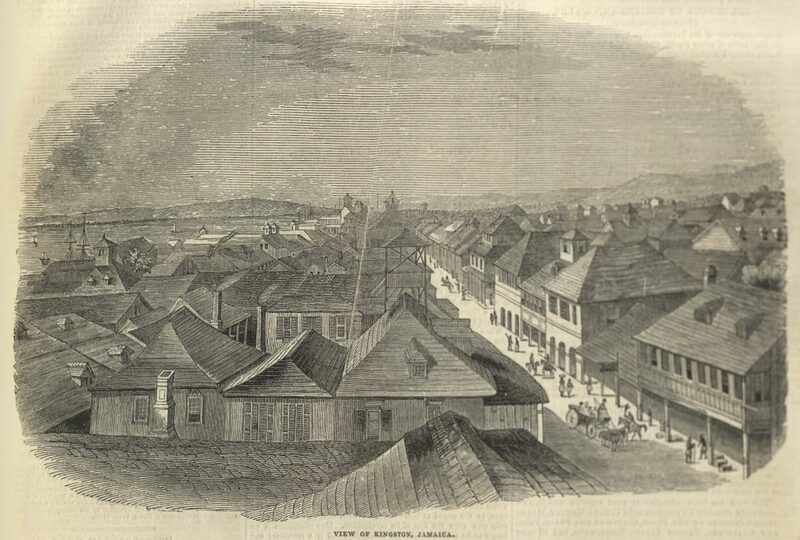 The following image shows part of Kingston’s port and some of its commercial streets. The Illustrated London News, 14 October 1843. Courtesy of University of Missouri Libraries.